Front lawns are as American as apple pie and baseball... but why? Are they serving our needs? Our nation's obsession with perfectly manicured, weed-free front lawns is an exercise in conformity as well as a means of upholding appearance over substance, and continuing to keep regular people dependent on large corporations to meet their fundamental human need for sustenance and nutrition. Food Not Lawns - free download of entire book! 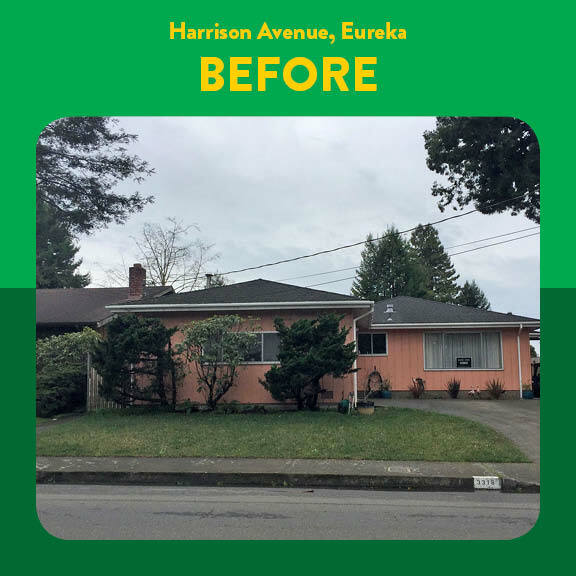 Cooperation Humboldt can help implement your front yard lawn conversion! If you'd like to apply to be one of our potential sites, please complete this survey. Also please join and post to our Cooperation Humboldt Food Not Lawns Facebook page. It's amazing how much you can fit into a small front yard - in this 35' x 15' area, in addition to a variety of native and pollinator plants, the following edible plants are being grown: fig, apple, blueberries, strawberries, lettuce, kale (annual and perennial), collards, artichokes, tomatoes, cucumbers, zucchini, gooseberry, huckleberry, goumi, raspberries, broccoli, parsley, thyme, and more! 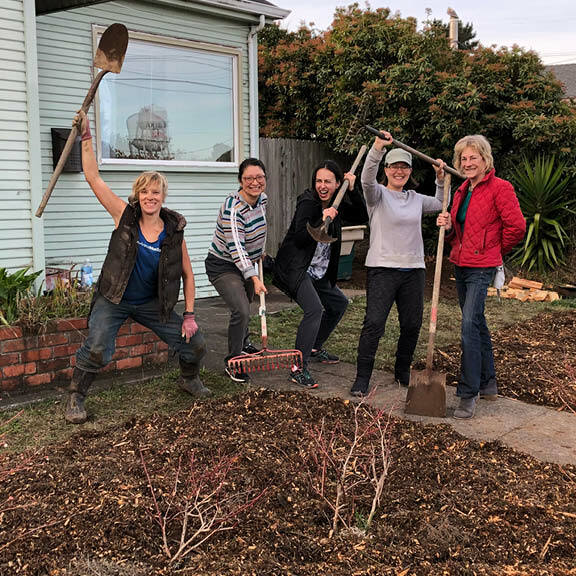 This site was converted from unused turf and is now planted with blueberries, kiwis, grapes, lemons, fruit trees (plum, apple), and native pollinators/edibles. 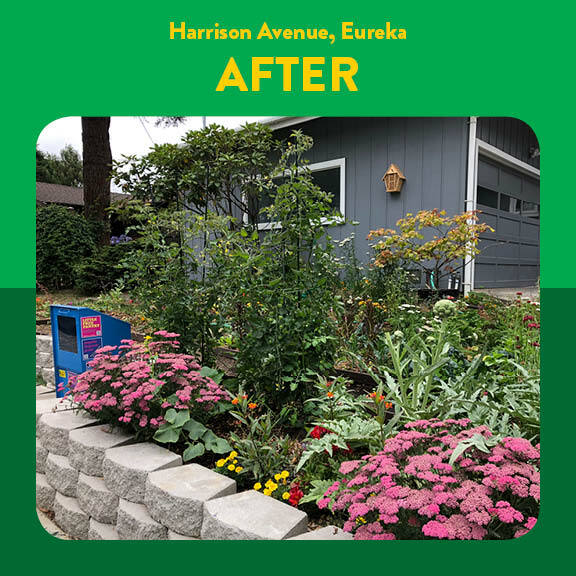 The homeowner was able to secure reimbursement for all out-of-pocket expenses through California's Turf Replacement rebate program. 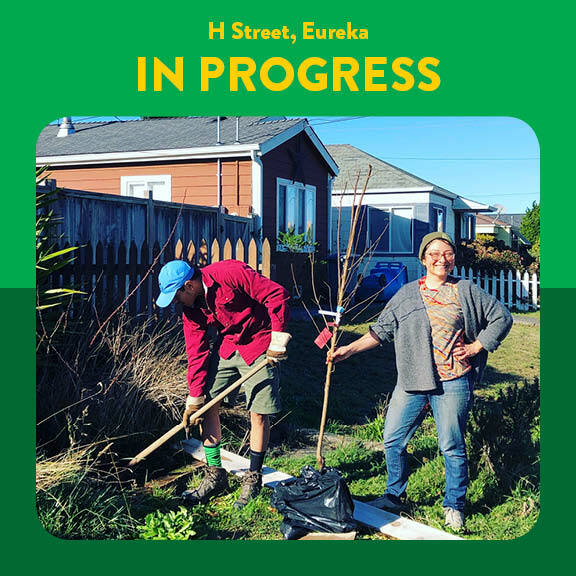 We planted 22 fruit trees in publicly accessible locations throughout Arcata and Eureka in early 2019. Each is easily reachable by passers-by, and the fruits of the trees, once mature, will be made available to anyone who wants some.